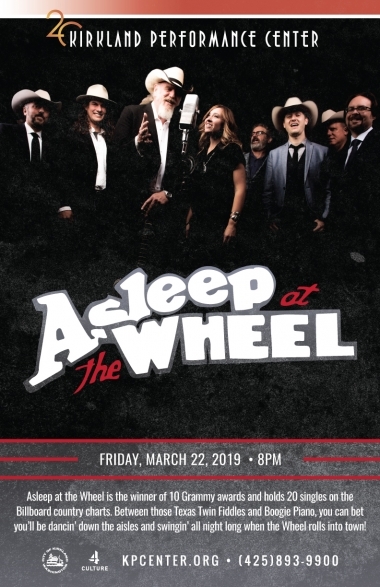 Asleep at the Wheel is the winner of 10 Grammy awards and holds 20 singles on the Billboard country charts. Now traveling as an 8-piece band, recent additions Katie Shore (fiddle, vocals), Dennis Ludiker (fiddle, mandolin) Connor Forsyth (keyboard, vocals) and Josh Hoag (Bass) have instilled a newfound energy and their own unique style within the band. Between those Texas Twin Fiddles and Boogie Piano, you can bet you’ll be dancin’ down the aisles and swingin’ all night long when the Wheel rolls into town!